Buying and selling a home is one of the most significant financial decisions a person can make in their life. With the dynamics of the real estate market and the increasingly important role of technology and the internet, it is important who you choose to represent you in the purchase and selling of your home. An excellent real estate agent must have the experience, knowledge, and innovation to successfully sell homes in today's real estate market. Recognizing that today's real estate consumers need these fundamental skills, I have created a plan and system that successfully helps clients reach their real estate goals while making the experience positive rewarding. 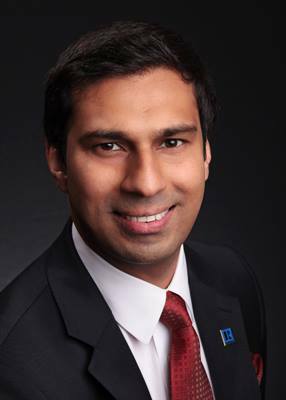 Hamid possesses the academic knowledge and theoretical skills to help clients make educated decisions. He holds a Master's Degree in Business and Master's Degree in Marketing with majors in internet Marketing from University of Maryland. His strong interpersonal communication and negotiation skills have helped save homebuyers significant amounts of money, while home sellers have received top dollar for their homes. In addition to his academic accolades, Hamid's thorough understanding of the internet and internet-based real estate consumer needs has allowed him provide superior service efficiently and effectively. In fact Hamid has formed relationships with some of the world's most powerful internet real estate companies. By providing such technologically advanced services, clients are consistently impressed with his use of technology in providing real estate services. Hamid continuously follows and understands real estate industry trends. Using this info he has helped clients comfortably adjust to the cyclical real estate market. Using INNOVATION, KNOWELEDGE & SUPERIOR SERVICE has helped him fulfill the need of clients who are looking for a real estate team that truly provides excellent service while making sure that real estate goals are met and exceeded. If you are looking to buy or sell a home, I promise to work my hardest for you to get results! When you hire Hamid Ali, you can rest assured that you are in the hands of competent, well-trained, hard working and dedicated professional!Please call me at 425.999.6465 for a consultation. "My Goal is to establish myself as the REALTOR you look to and trust for all your real estate needs. Please don't hesitate to contact me with any questions, large or small." Redmond real estate , Bellevue real estate , Kirkland real estate, Sammamish real estate, Issaquah real estate, New Castle real estate, Mercer Island real estate, Medina real estate, Seattle real estate, Woodinville real estate, Snoqualmie real estate, Duvall real estate, Bothell real estate, Mill Creek real estate. Member - National Association of Realtors, Seattle-King County Association of Realtors and Puget Sound Multiple Listing Association. Top 10% companywide and among top 3 for most buyer side sales for 2011 for John L Scott Real Estate Redmond office.